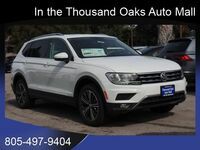 SUV drivers have praised the 2019 Volkswagen Tiguan because of its roomy interior design, intuitive infotainment system and generous warranty coverage. 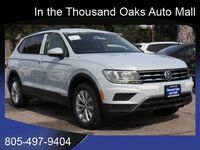 Available in a vast array of models, competing SUVs can’t match the versatility of the 2019 Tiguan. 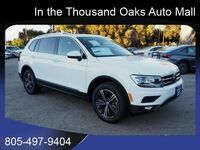 If you’re shopping around for a new SUV, the 2019 Volkswagen Tiguan in Thousand Oaks, CA should be at the top of your list. 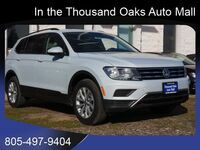 The 2019 Volkswagen Tiguan is offered in two body styles: Two-row or three-row. No matter the chosen body style or trim level, all 2019 Volkswagen Tiguan models are powered by the same engine: A turbocharged, 2.0-liter, four-cylinder engine which generates 184 horsepower and 221 pound-feet of torque. This engine is paired with an eight-speed automatic transmission. Every 2019 Tiguan comes standard with front-wheel drive, though all-wheel drive is available as well. There are six trims available for the 2019 Volkswagen Tiguan, titled S, SE, SEL, SEL R-Line, SEL Premium and SEL Premium R-Line. 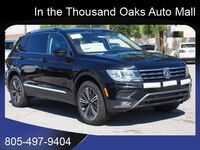 Drivers who purchase the 2019 Volkswagen Tiguan S but desire some of the higher trims’ advanced safety features can also purchase an optional Driver Assistance package. This package adds automatic emergency braking, blind-spot monitoring, forward collision warning and rear cross-traffic alerts. 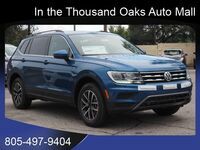 In addition to its numerous body styles and trim levels, the 2019 Volkswagen Tiguan is also available in a variety of colors. This SUV is available in eight exterior color options, including Habanero Orange Metallic, Dark Moss Green Metallic, Platinum Gray Metallic, White Silver Metallic, Silk Blue Metallic, Deep Black Pearl, Pure White and Cardinal Red Metallic. 2019 Tiguan interior colors include Titan Black, Golden Oak/Black Two-Tone, Storm Gray and Saffrano Orange/Black Two-Tone. 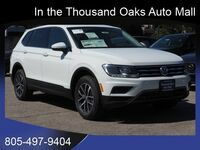 Available 2019 Volkswagen Tiguan safety features include: A crash-optimized front end, LATCH child seat anchors, a tire pressure monitoring system, an intelligent crash response system, anti-lock braking, electronic stability control and engine braking assistance.